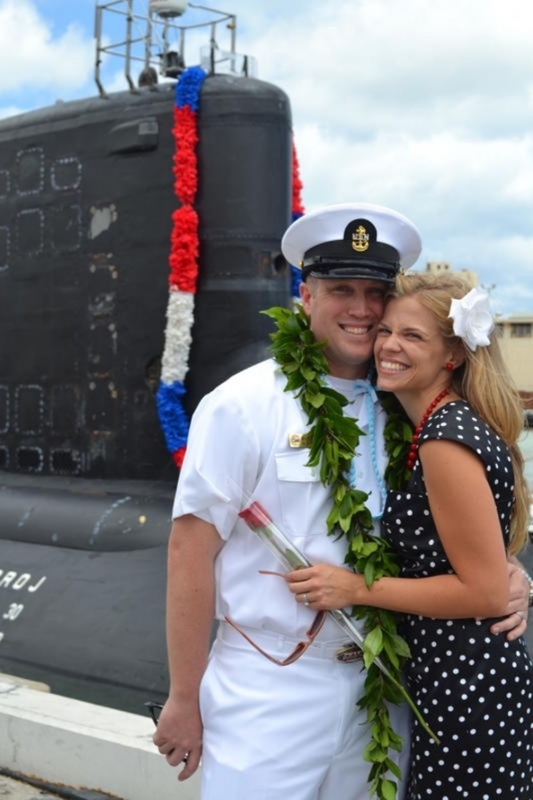 Chief Petty Officer Michael Akins and his beautiful wife Brandi, with his submarine pictured behind him. 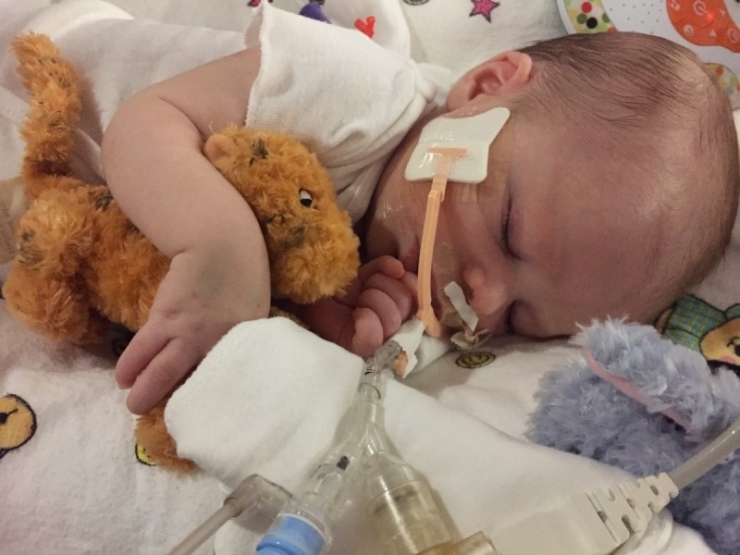 After 9 years of marriage and many failed attempts to conceive, the couple was ready to celebrate this miracle. 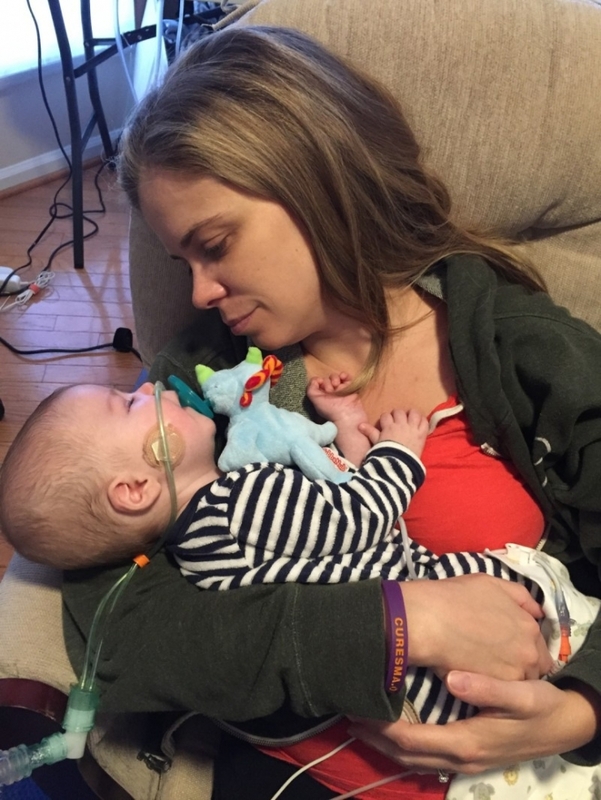 Although Brandi had originally hoped for to deliver her baby naturally, after 36 hours of labor Merrick was born via c-section in a tiny hospital on the Naples base. “This child had his own ideas about everything,” Brandi laughed. And just like that – they became a family of 3. For a while, everything was perfect. 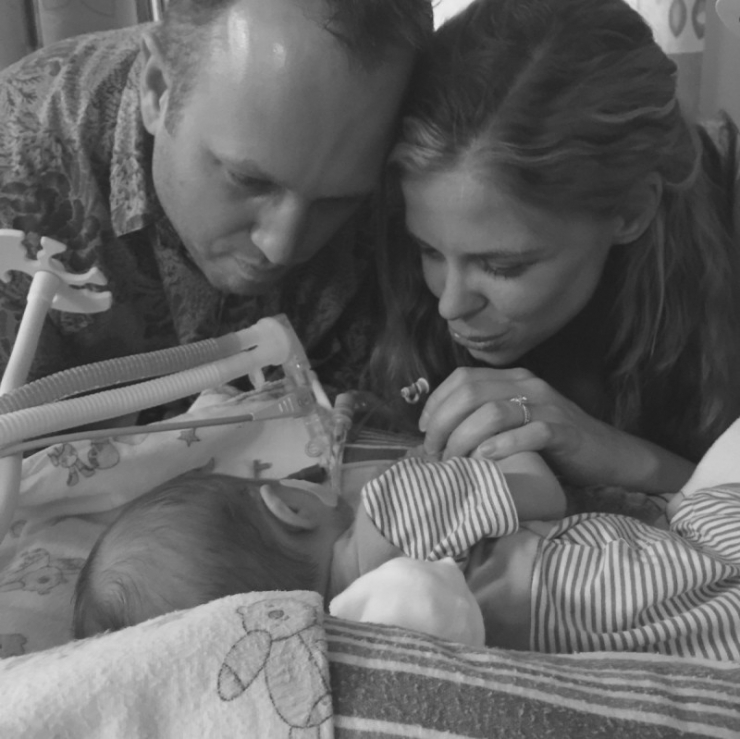 Brandi, Michael, and Merrick “literally floated on clouds.” At their two-week check up, the new parents voiced their concerns that Merrick wasn’t moving very much. The doctor assured them that he was just a “chill” baby. But that reading was correct. 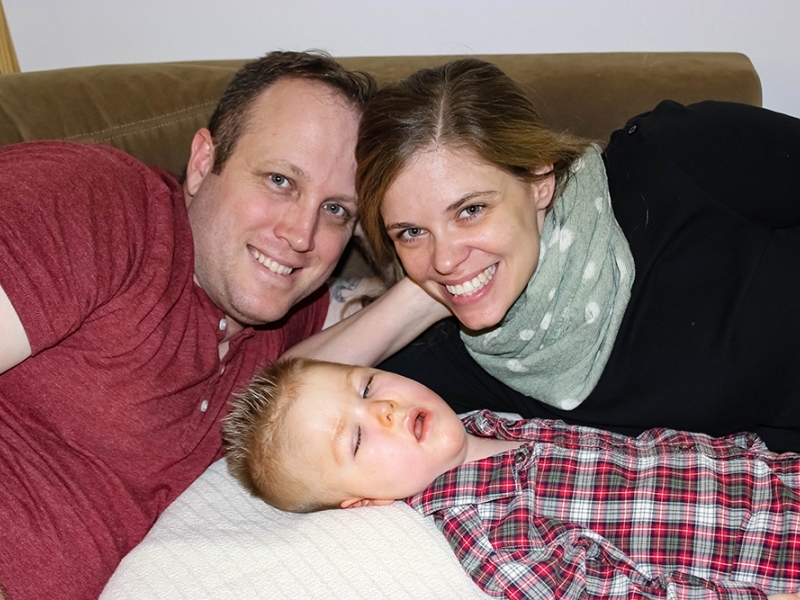 Merrick was hooked up to monitors immediately, held in the Italian PICU for four days, then medically evacuated to Walter Reed National Military Medical Center, and it was there that Michael and Brandi’s “every fear came to fruition.” Their son had SMA Type 1, a neuromuscular disease that robs the patient of the use of their muscles. The SMA diagnosis was... heartbreaking. The name brings quite a threat: it is the #1 genetic killer of infants. 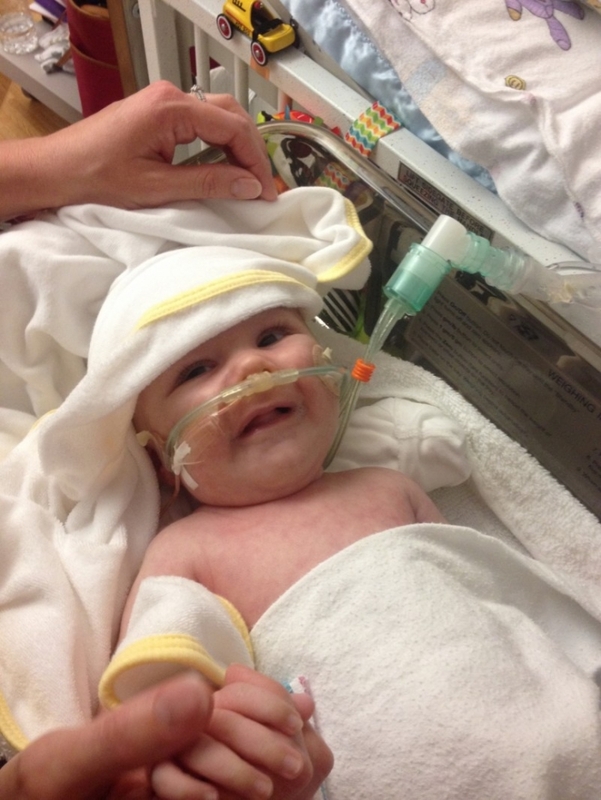 The diagnosis precludes most children with SMA from celebrating their 2nd birthday. It was the reason every doctor and nurse began their sentences with, “What do you want for your son if…” because no one expected Merrick to leave. Brandi and Michael knew something about Merrick that doctors couldn’t read on their charts. 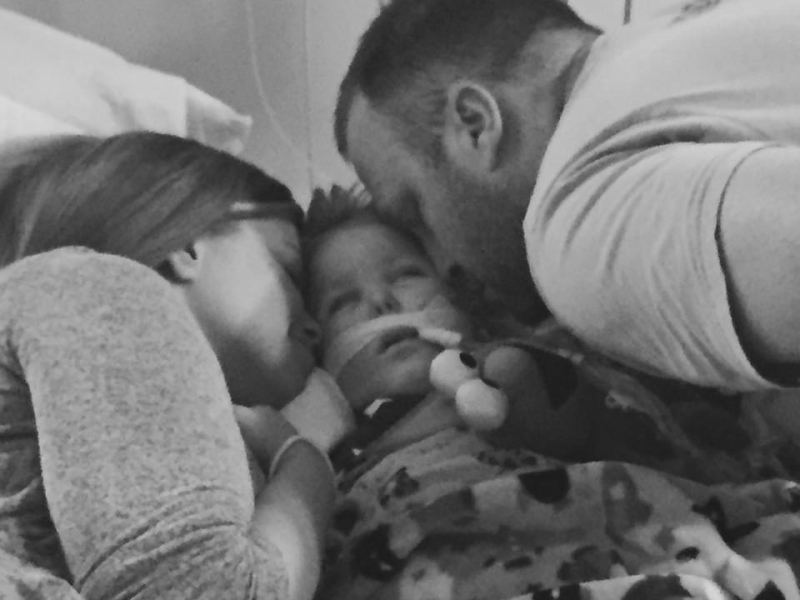 They knew that their son was a fighter, stronger than he looks – and he was about to show the world what he was capable of. “He’s such a little stinker,” Brandi says. 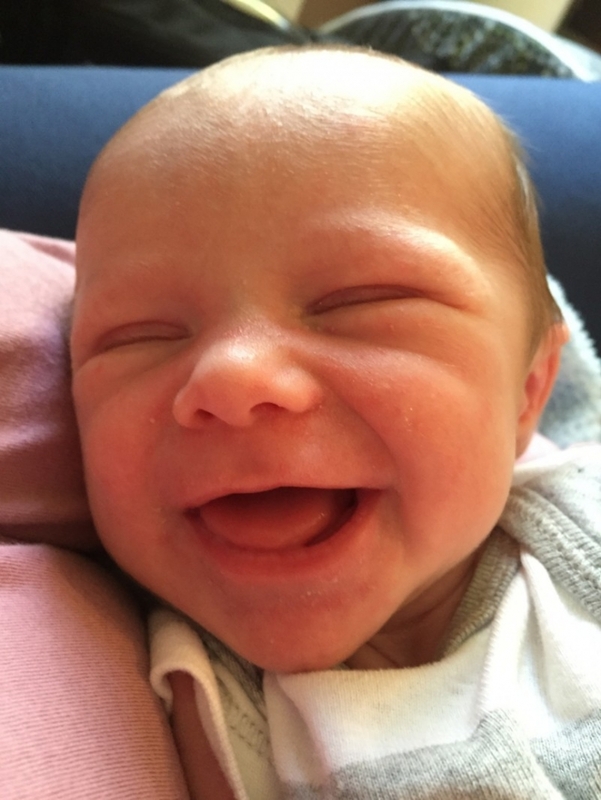 “He’ll close his eyes when he doesn’t want to do something, then he’ll open his eyes and just smile at you.” Because Merrick is not cognitively affected whatsoever, he is an incredibly smart – and mischievous!- little boy. 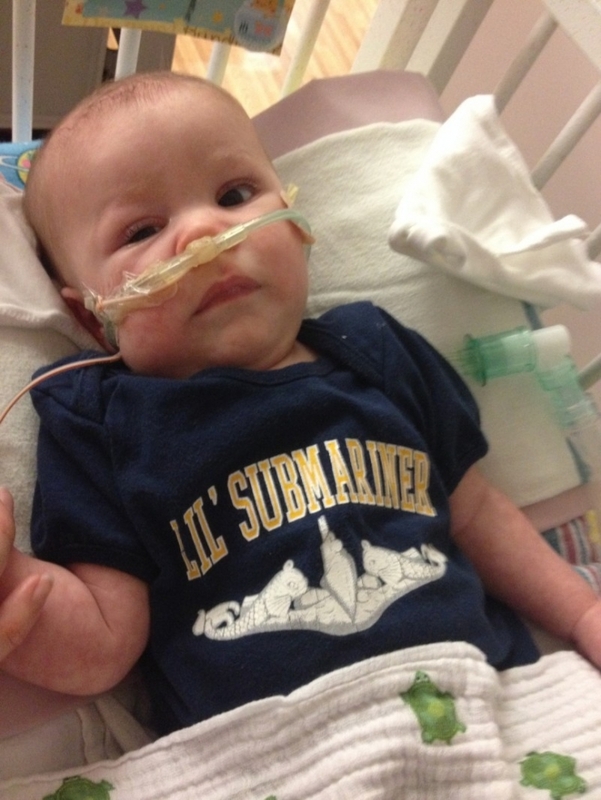 Lil’ Submariner – just like Dad! Upon hearing of Merrick’s diagnosis, Michael’s Command Master Chief knew he did not want Michael to have to part from his son. So they took care of everything at the Akins’ home in Italy: the Navy sold off their cars, settled with the landlord, and packed and shipped their household goods to the Akins’ new home in DC. 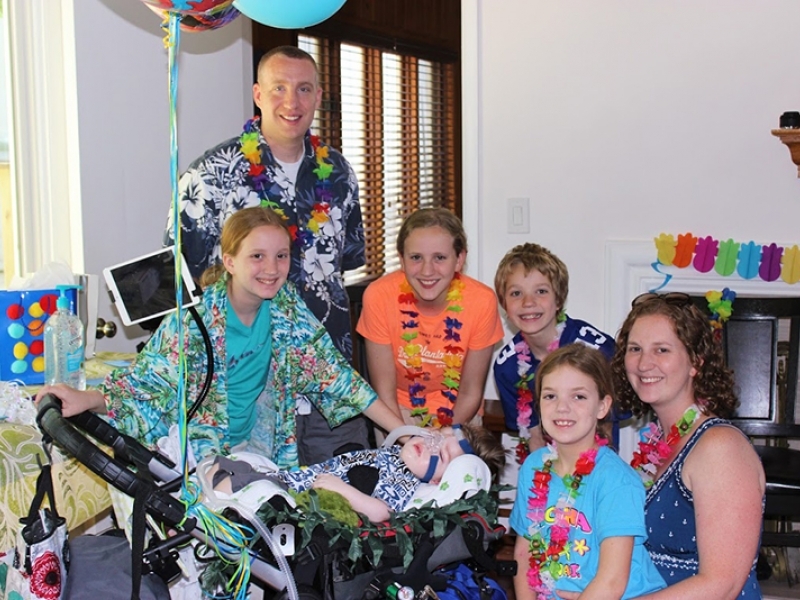 Because their home is where Merrick is, and Merrick needed to be at Walter Reed. The Navy also adjusted Michael’s job requirements so he will no longer have to deploy. “We would have been at an extreme loss if it had not been for my Command Master Chief Rich James and the Navy taking care of us,” Michael told us. 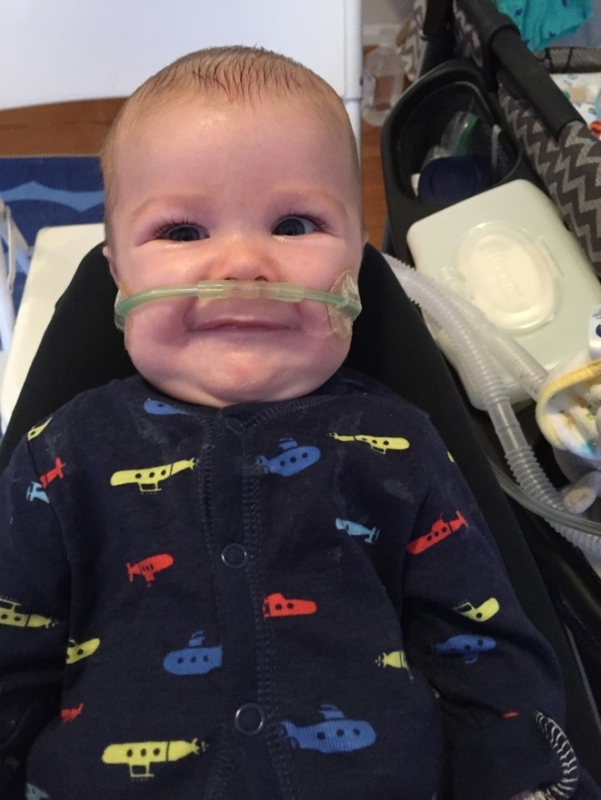 Merrick is on respiratory support for about 15 hours a day. He can no longer breathe on his own. 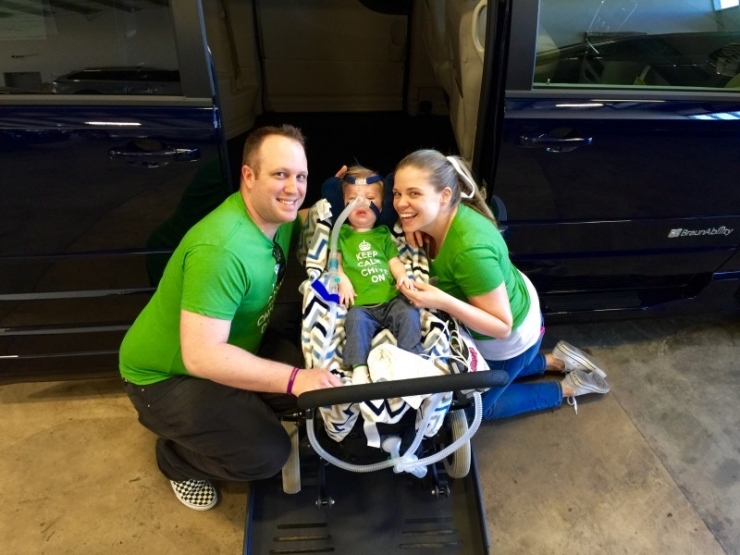 That means that when the family has to leave the house for a check-up or appointment, it becomes quite the production: Brandi carefully carries Merrick while Michael carries his respiratory support, pulse oximeter and suction machine. Then, Brandi lays him into a car bed and has to squeeze beside him to attend to him the whole ride because of Merrick’s lack of muscle tone this kind of transportation can be very dangerous. So, for 9 months, the Akins family hasn’t been able to enjoy any experiences with their son. No trips to the zoo, to birthday parties, to picnics at the park… to anywhere that isn’t medically necessary. And because Merrick’s future is uncertain, this kind of existence isn’t okay with Brandi and Michael. They want their son to live his life, not count his days. Well, we’re real… and so is that wheelchair-accessible van! 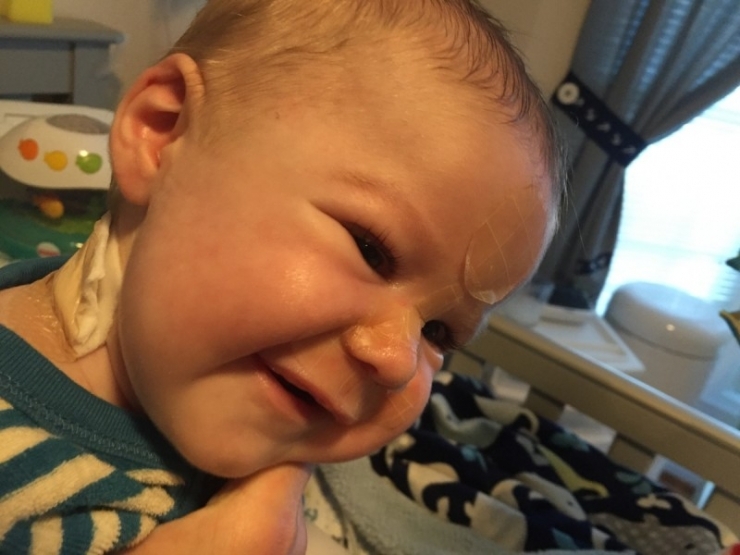 We think that Merrick deserves a life not only of comfort and safety, but also where he can have adventures outside of a hospital room. With a $48,000 grant, Merrick’s future just became a little brighter, and his life… 10% happier. To the world, Michael is a hero. He has served his country for over 17 years and put his life on the line to defend our freedom. But in Michael’s eyes, Merrick is the real hero. Every morning, he wakes up and decides to keep breathing. He keeps breathing when it’s hard, when it’s painful, when it would be so much easier just to quit. 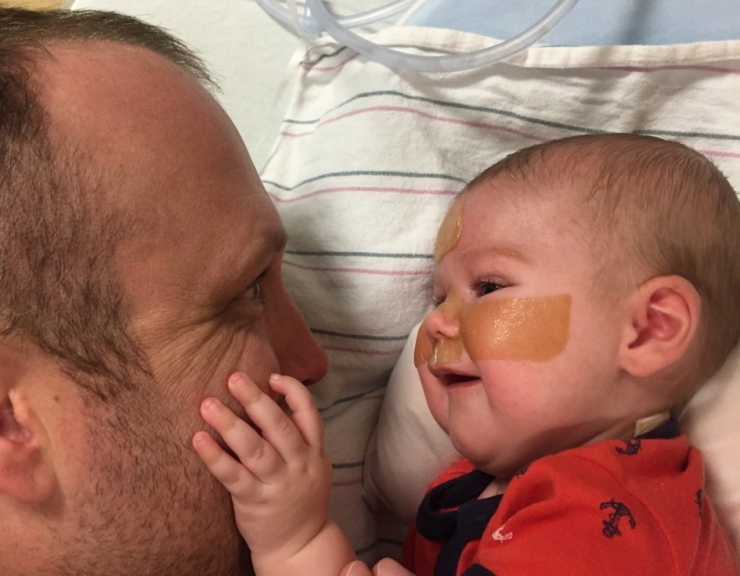 Merrick is a fighter, and he’s not going to give up so easily. Even with the odds stacked against him, he’s not going to give up. And that kind of courage is the stuff heroes are made of. Thank you, Merrick, for inspiring us all. Become a hero in the eyes of the underdog and join our mission to make the world 10% happier HERE.